Liquid Handwash Which Will Help To Deodorise, Sanitise & Cleanse With Lovely Essential Oils. Neutralises Residual Odours & Restores Skin..Economical 800 ml Bottle With Sturdy Pump Dispenser. 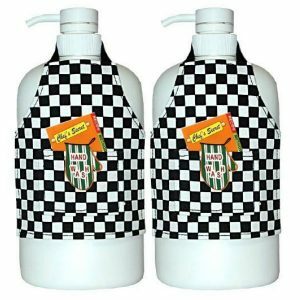 Useful Handwash for Many Purposes as well as the Kitchen, for Removing Odours and Stains.